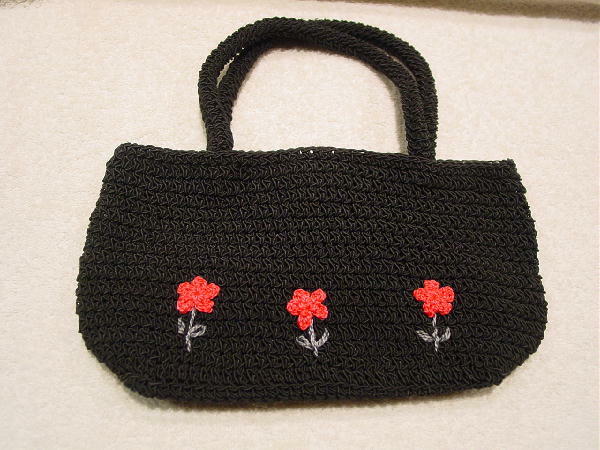 This little black synthetic woven purse was handmade in China. It has a black acetate lining with an interior open pocket. There is an interior magnetic snap closure. On the front are 3 little red flowers with green leaves and stems. It has two 12" long handles.